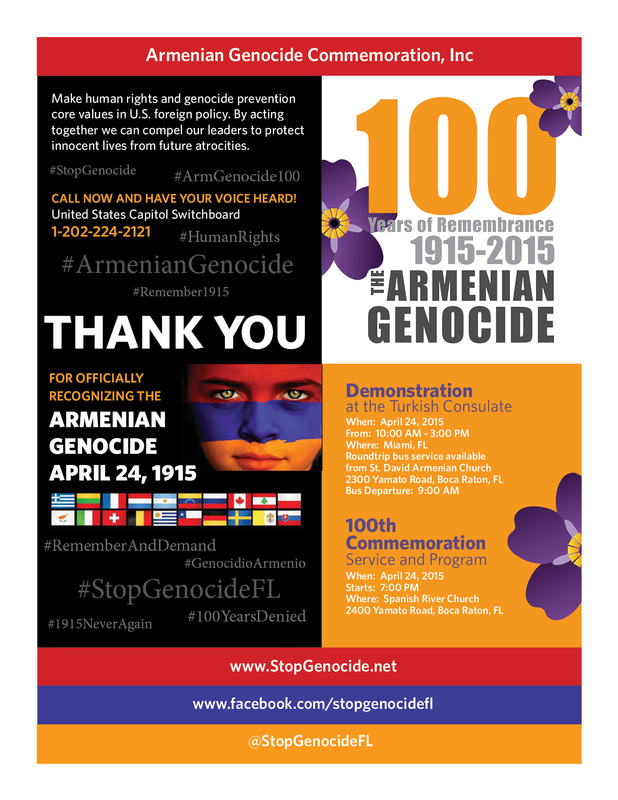 Posted on April 16, 2015, in Armenian Church, Armenian Genocide, Events, General Update, News, Politics and tagged Armenian, Armenian Church, Armenian Genocide, Boca Raton, Church, Florida, Miami, Spanish River. Bookmark the permalink. Leave a comment.